Mark your calendars! 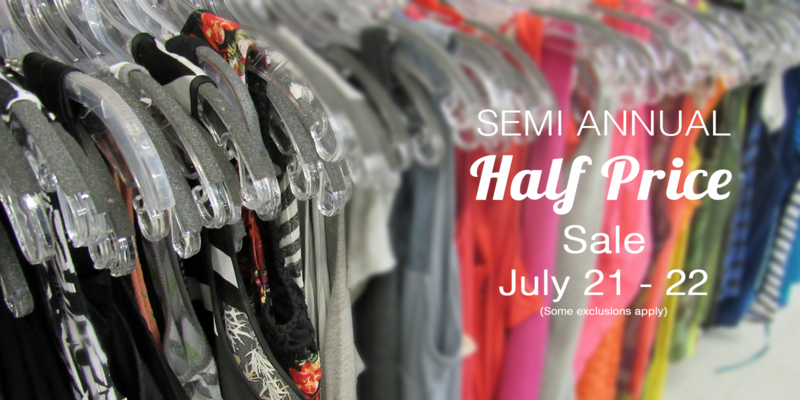 Join us for our upcoming 1/2 Price Sale Saturday, July 21st and Sunday, July 22nd at Stuff Etc. Enjoy 50% off store-wide* at all Stuff Etc locations. Want to shop the sale before the public? Purchase an Early Bird ticket for Saturday, July 21st for only $5 in advance or $10 at the door. *Sale excludes new mattress products and select furniture pieces. Stuff Etc’s selection of new mattress products will be 10% off this weekend.